The “love of God” is a theme which dominates pulpits across our land. Without doubt, the Gospel reveals to man exactly what true love is (1 John 4:9). How incredible, really, that a Holy and Righteous God would send His Son to die for sinners! Certainly, the “love of God” is a wonderful theme. 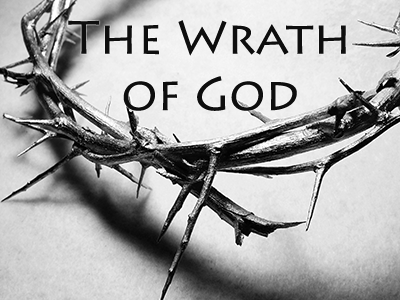 Yet, without understanding something of the “wrath of God”, we lose some understanding of His love. God is infinitely holy and righteous. There is no sin in God as He cannot sin. Being a just and righteous Judge, as He is, sin cannot simply be overlooked. Our Creator has a standard and it is strict. A holy and righteous God can only give a standard which reflects His holy and righteous nature. So, God’s requirement of mankind is that we too be holy and righteous. Yet, the Law quickly reveals to us how impossible this is. Our text verse says that “the wrath of God is revealed from heaven against all ungodliness and unrighteousness of men”. This is a warning, plain and simple. There is coming a time that God will judge mankind. Those that are still “dead in trespasses and sins” (Ephesians 2:1) must give an account to a righteous God that cannot overlook sin and remain righteous. This should be terrifying to those outside of Christ. But, from the looks of the daily news, it isn’t. On July 8, 1741, Jonathan Edwards preached a famous sermon entitled, “Sinners in the Hands of an Angry God”. His theme was simple – sinners will ultimately be judged. They will be found guilty. God is omnipotent and therefore able to carry out this judgment. And, it is certain that this time is quickly approaching. It would serve every reader of this article well to read that sermon as it is readily available (and needful) today. Knowing and understanding that “God is a just judge, And God is angry with the wicked every day”(Psalms 7:11), we ought to be that much more thankful for the work of Christ. 1 Corinthians 1:30 says, “But of Him you are in Christ Jesus, who became for us wisdom from God—and righteousness and sanctification and redemption”. In ourselves, we remain “by nature children of wrath, just as the others”(Ephesians 2:3). Yet, Christ became sin for us (2 Corinthians 5:21). Though we are guilty of sin and deserving of punishment, Jesus willingly laid down His life for His sheep. He bore the penalty of our sins (John 10:11; 28). In Christ, we will never face the wrath of God. Child of God, take this moment to thank God for saving you from your wretched, miserable condition before Him. Thank Him even this instant for pulling you out of the miry clay and sitting your feet on the Solid Rock, which is Christ (Psalms 40:2). Watering the Tulips is brought to you by Sovereign Grace Baptist Church in Northport, AL. For more information, please visit www.sovereigngrace.net . “Your App to the Gospel” is available in iTunes, Google Play and the Windows Phone Marketplace. Please download it today!